SteelSeries is a manufacturer of gaming peripherals and accessories, and we recently reported that SteelSeries was launched by Croma in India. Now we have word that the company has introduced the new SteelSeries Zboard Limited Edition Aion Keyset and the SteelSeries QcK Limited Edition Aion Asmodian Mousepad. The new gear has been co-designed with Aion developer, NCsoft, and features original artwork from the game. 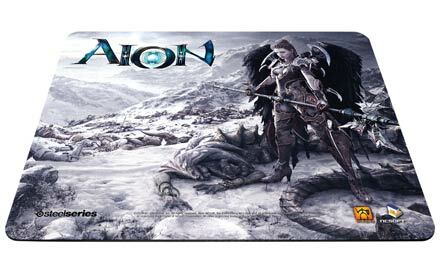 I thought I’d be nice to share this awesome Aion mousepad and keyboard with you guys. Wasn’t really interested in the article, but the images look nice!